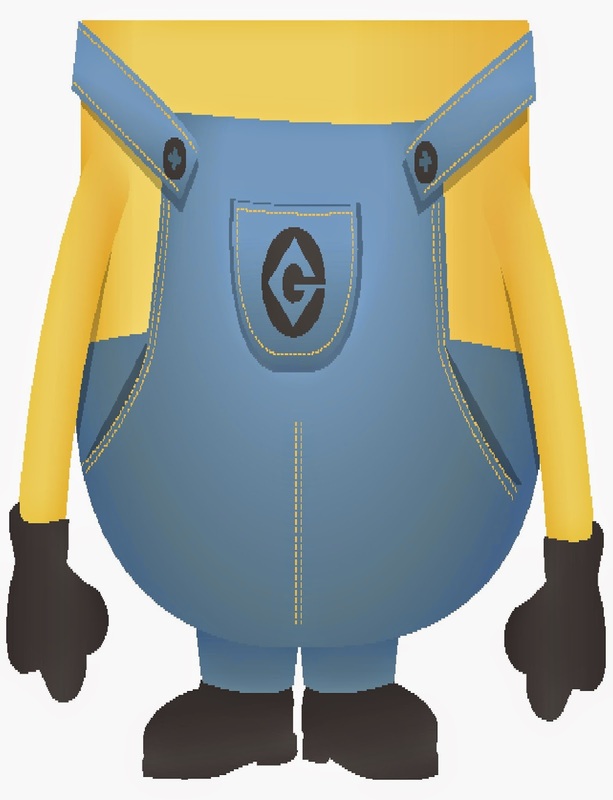 Pin the eye on the Minion at your Minion party with this printable party game. 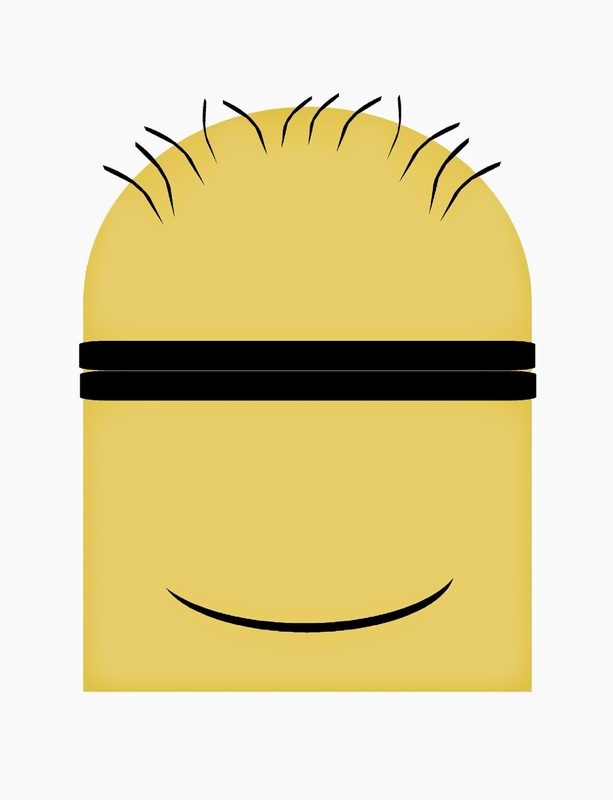 Print as many eyes as you want for as many players as you have and go to town play this fun Minion party game. While I'm having fun playing with my own little Minions today (making them clean the house all day), I decided we needed to have a little more all around fun at our Minion party family dinner next week. 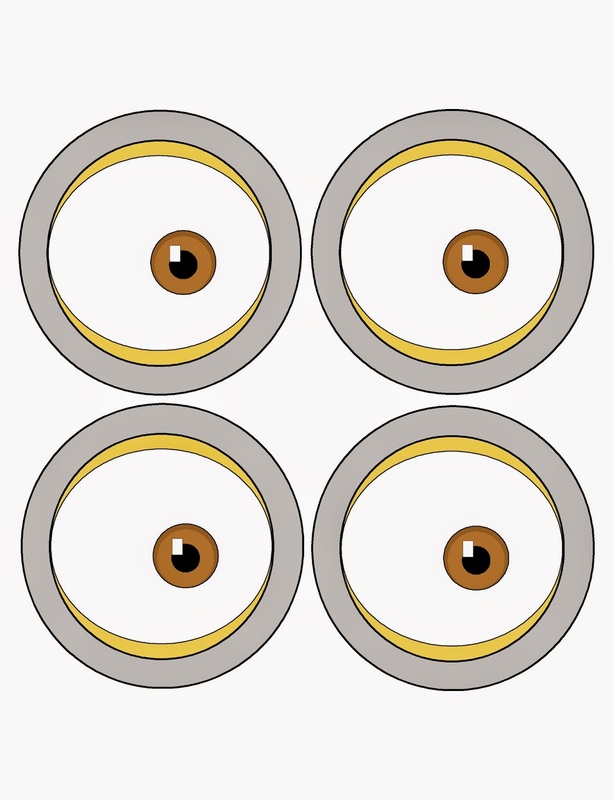 So I created a fun Pin the Eye on the Minion printable party game that should tie right into our party plans. It's pretty easy to print each of these printables to the party game out onto card stock and (maybe not so easily) cut them out. Tape them to the wall, blindfold your party guests, and spin until they puke. Okay, maybe not, but you get the idea. 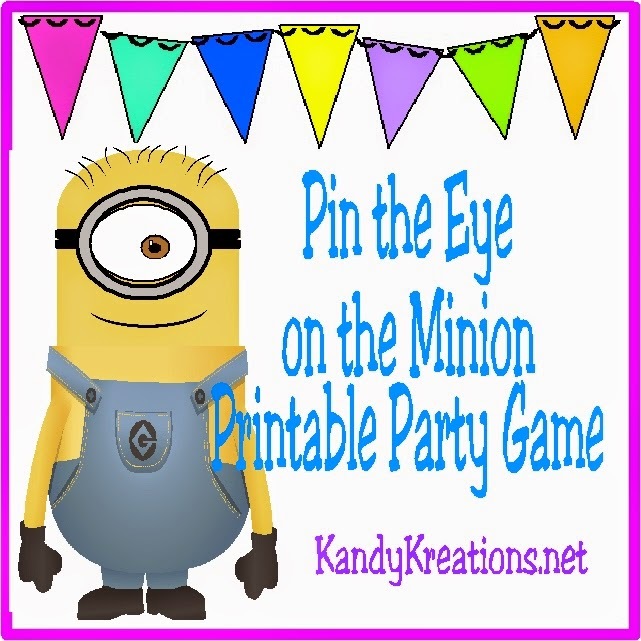 Here are the three printables you need to play this Pin the Eye on the Minion party game.